Each year, OnStage Blog takes a deep look at the many theatre programs across the country. With thousands of prospective students and families researching what makes one program a better fit than another, we feel it's important to provide as many resources as possible. As we've mentioned before, OnStage Blog's rankings are based on a rating system that looks at a number of different factors that should be considered when looking into these schools. In case anyone has any questions about our ranking process, we've described it here. With the number of performance opportunities out there right now, the demand for musical theatre talent is higher than ever. We've been seeing the demand for those who can act, sing and dance extend beyond the stage to our TV and movie screens. The schools listed here are not only programs that are training their students the right way but also looking for new ways to educate them as well. Some of them are perennial powerhouses and others are programs on the rise. Particular factors that were heavily looked at this year were quality of facilities, performance opportunities and value of diversity. So without further ado, here are our picks for the Top 25 BFA Musical Theatre programs for this year. 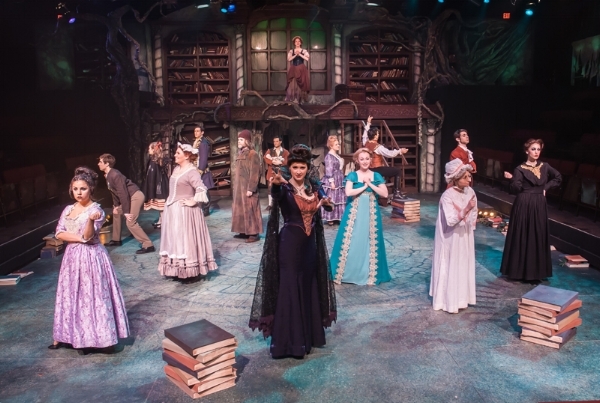 Highlight: The department has an aggressive production schedule that includes five main stage productions (typically two musicals) each academic year. In addition, students produce at least two shows each year. Coastal Carolina University offers two state-of-the-art theaters including the Edwards Theatre (flexible black box) and Wheelwright Auditorium (720-seat proscenium). Additional performance opportunities exist in Dance Company, Opera Workshop, New Works Reading Series, Senior Recitals and Second Stage Productions. Highlight: Program offer four-week satellite program in New York City. Students have workshops with casting directors and agents, take dance class at Broadway Dance Center, and television and film acting class in addition to attending talkbacks with the casts of Broadway and Off-Broadway shows. Past performance workshop directors have included Broadway and off-Broadway notables Jenn Colella, Victoria Clark, Jay Binder and Baayork Lee. Highlight: Much praise should be given to TSU's attention to the mental and physical health of the performer. During freshman year students receive instruction in vocal health and vocal anatomy, nutrition, yoga, workouts, stretching. In addition due to medical professional volunteers, freshman receive a comprehensive physical and vocal evaluation done by a medical professional. Incoming freshman as part of their Intro to Musical Theatre class have an hour long lab once a week for the fall semester that covers 6 life skills (coping, communication, problem-solving, time management, leadership, goal setting), mindfulness techniques, stress management skills, brain science of stress, meditation, and more. Highlight: Performance opportunities at Hartt are extensive and designed to expose students to musicals and other plays from across the theatrical repertoire. Starting with second-year projects and culminating with full-scale, professionally designed productions, the season is chosen to provide each class with challenging onstage experiences. in the fourth year, our students are in residence at Goodspeed Musicals for three weeks in January working on a festival of new works. 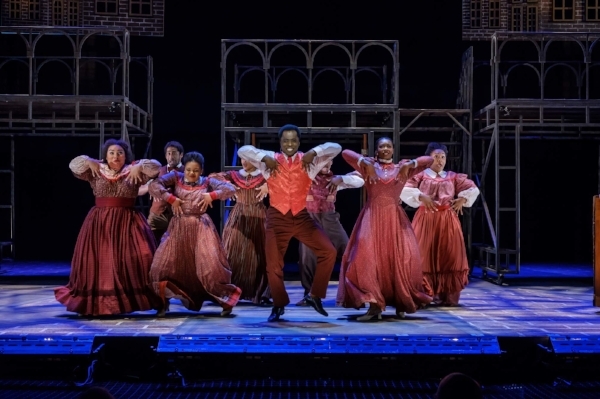 Music Theatre students may also audition for the Hartford Stage Company's annual production of A Christmas Carol as well as other Equity productions in the company's season. Many of our students join the Equity Membership Candidate Program during their time at Hartt. Highlight: During the school year, students audition at several national unified auditions, as well as in New York and New England to glean summer positions at theatres such as (for 2017) Berkshire Theatre (MA), Weathervane Theatre (NH), Rocky Mountain Repertory (CO), Priscilla Beach Theatre (MA), Hershey Park (PA), Maine State Music Theatre (ME), Lake Winnipesaukee Playhouse (NH), Jean’s Playhouse (NH) and internationally at the Music Academy International (Italy). Highlight: If a student is not cast in an academic production, there are numerous student-produced performance opportunities including: directing projects, student playwrights performances, The Loaf improv troupe, Shut-up Its Shakespeare, and the student film club. Students have also formed their own theatre companies off-campus (Margin Theatre and Your Act Theatre) as well as web series, most recently The Dream Team. Shenandoah Conservatory produces more than 400 performances each year. Highlight: Kent State is currently one of the few schools in Ohio that offers a program encompassing music, theatre, and dance. The program at Kent was one of the first established programs of its kind in the state. The coursework consists of 129 semester hours in the humanities, social sciences, natural and physical science, and fine and professional arts. The basic concentration is composed of courses in each performance discipline. 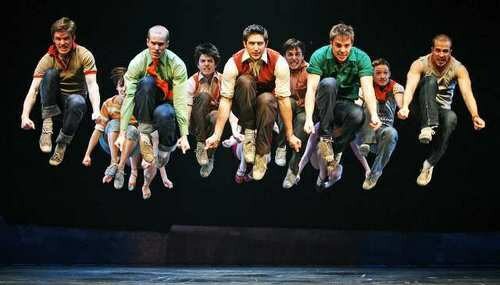 Highlight: One of the few schools in the country to offer both a BFA and BM in Musical Theatre. In the College of Music (B.M. degree), more emphasis is placed on the skills of musical performance, music theory, and music history. In the School of Theatre (B.F.A. degree), more emphasis is placed on the technical skills of set construction, lighting, costumes, directing, and on theatre history. Most Bachelor of Music (B.M.) students enter the program with a background in music including prior voice lessons or choral experience. Highlight: Electives include Daytime TV Drama, which covers analysis, rehearsal, and performance of several scenes of daytime television drama under the direction of professional, faculty, and student directors. Alumni include Jeremy Jordan, Aaron Tveit, Megan Ort and Kerry Butler. Highlight: Outstanding faculty roster includes Danny Gurwin, who serves as Co-Chair of the program. His Broadway credits include has starred in Little Women, Urinetown, The Full Monty, The Scarlet Pimpernel, A Little Night Music (NYCO revival, LA Opera, and The Kennedy Center), Kismet (Encores! ), & How the Grinch Stole Christmas. Highlight: Performance Opportunities include the Project 15 Series. Here a faculty committee reviews student pitches, chooses finalists to interview and audition, and creates a production incorporating 15-minute pieces from various disciplines and genres. Students have used their 15 minutes to perform one-act plays, short concerts of original music and even stage combat routines. Highlight: The music theatre program is housed in Center for the Arts, a 75,000-square-foot facility specifically designed for teaching and performance. The centerpiece stage is McCrary Theatre, a fully equipped performance space with seating for 575. The 125-seat Yeager Recital Hall offers a more intimate setting along with digital recording capabilities, and the center’s fully outfitted 100-seat Black Box Theatre can be configured to any arrangement, from proscenium to arena. Highlight: From the second year on, musical theater students may audition for roles in faculty-directed plays and musicals, co-productions with Syracuse Stage, scenes and plays directed by directing students, and films produced by film students in the College of Visual and Performing Arts. Advanced musical theater students may audition for and perform in Syracuse Stage productions in appropriate roles. Students may also understudy the professional actors. Equity points may be earned through work with Syracuse Stage. Highlight: Montclair State boasts exceptional performance facilities with impressive technical specifications. You will perform in six well-equipped theatres, including the state-of-the-art Alexander Kasser Theater; the 946-seat Memorial Auditorium; our 2000-seat amphitheater, and the intimate L. Howard Fox Theatre. Esteemed faculty include, Julio Agustin Matos, Jr. He has performed on Broadway in the original companies of Fosse, Steel Pier, Never Gonna Dance, Bells Are Ringing revival (“Carl”), Women on the Verge of a Nervous Breakdown (“Ambite”), and was featured opposite Bebe Neuwirth in Chicago, the musical. Julio has traveled from Minakami, Japan to Athens, Greece performing in shows or presenting at conferences. He serves on the faculty of the Broadway Theatre Connection, is an NATS adjudicator for the National Music Theatre Competition, and is a Certified Practitioner with the One Voice Centre for Integrative Studies. An already excellent program that keeps getting better. Students have the opportunity to audition for the Conservatory Theatre Company and Playhouse Jr., as well as select roles with The REP, Point Park University's professional theatre company. One of the best all-around training programs in the country. During students' Junior year, they'll study two semesters of Musical Theatre Dance Styles. This course is designed to introduce you to the styles of choreographers like Jerome Robbins, Michael Bennett, Agnes DeMille, Michael Kidd, and Bob Fosse - as well as contemporary choreographers like Susan Stroman, Bill T. Jones, Andy Blankenbuehler, Rob Ashford, and Jerry Mitchell. 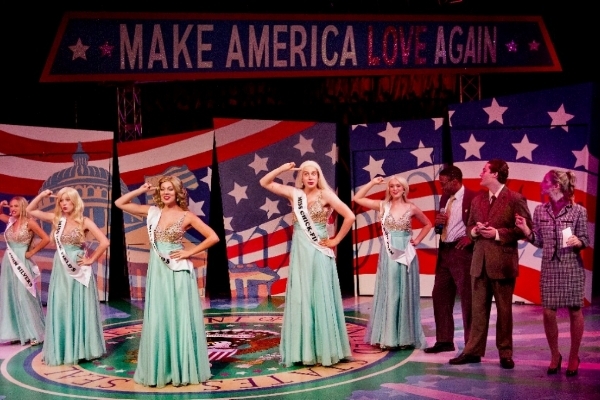 A truly underrated gem, each year The School of Theatre Arts produces two musical productions. Every other year one of these is a Faculty Choreographed Dance Concert. Recent Jerome Mirza Theatre musicals include Promenade, Hello Again, Once Upon a Mattress, Passion, Pippin, Of The I Sing,Scrooge, Into the Woods, Urinetown, Chicago, FAME: the musical, Women on the Verge of a Nervous Breakdown, GIANT, Cabaret and 42nd Street. The department encourages students to audition for local Dallas-Fort Worth theatres while at TCU, if their semester schedule and TCU commitments allow time for outside work. In rotation with our bi-annual co-productions with local theatres, Theatre TCU also produces a musical bi-annually at the 500-seat Scott Theatre located in the Fort Worth Cultural District. Musical theatre students along with the other theatre disciplines learn what it’s like to mount a traveling show. If you're looking to be challenged in every best way possible, your first stop should be Boston Conservatory at Berklee. In the first two years of the program, students move through a four-semester progression of foundational courses in acting, dance (ballet, jazz, and tap), movement on stage, voice and speech, musical theater repertoire, ear training, and piano. They also receive weekly private voice lessons with notable Conservatory voice faculty. Through crew assignments for mainstage productions, students gain an intimate understanding of off-stage work and the many details of running a show. At the same time, students begin to audition and perform in various Conservatory and Boston-area productions. Recent guest artists include the acclaimed Adam Guettel (The Light in the Piazza—two Tony Awards), Nick Adams (Priscilla, Queen of the Desert), Susan Stroman (five Tony Awards), and Andrew Lippa (Tony Award and Grammy Award nominee), to name a few. No school in the country is doing better things to build their program more than Pace University. This program does an excellent job of preparing students for the rigors of the industry with coursework not only to make them better performers but also to handle the business end as well. Courses include an introduction for senior musical theater students to the business elements of the entertainment industry. When we say that CCM wrote the book when it comes to Musical Theatre education, we literally mean it. CCM is the oldest in the country and was the first of its kind. It was used by the National Association of Schools of Theatre in formulating the guidelines for accreditation of Musical Theatre programs nationwide. It is widely recognized for its "triple-threat" approach to training and many of its graduates are following careers as performers and creative artists in every facet of the entertainment industry. One word to describe UM's BFA in Musical Theatre? Prolific. Beyond their mainstage performances, students have a vast number of performance opportunities. 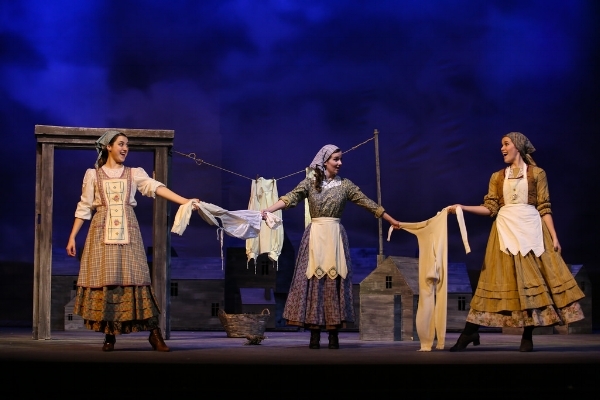 Musical Theatre majors often participate in MUSKET shows (student-produced musicals), Gilbert and Sullivan Society operettas, faculty-directed plays, and productions by the Ann Arbor Civic Theatre as well as the Michigan Opera Theatre. The University is also affiliated with the Purple Rose Theatre in Chelsea, Michigan, founded by actor Jeff Daniels. Musical Theatre and Theatre students produce around 20 plays each year through the Basement Arts company. Students select the plays which they direct, design and perform. The Grandaddy of them all, CMU is the oldest degree-granting drama school in the United States. But the best Musical Theatre program in the country isn't just resting on their laurels, they're making constant changes to their program to improve it for their current and future students. For instance, this year they've welcomed new excellent faculty to their already stellar list such as Rick Edinger. Edinger is an accomplished music director, vocal coach, pianist, and actor. Rick began his tenure as Associate Teaching Professor of Music Theater at Carnegie Mellon University’s School of Drama in August 2018. Previously, he served as the Theatre Division Music Director & Professor of Theatre at Shenandoah Conservatory’s musical theatre program. He is in the process of writing and editing his first book, The National Alliance for Musical Theatre’s Nuts & Bolts Guide to Producing New Musicals. As a strong advocate for the development of new works, he plays a large role in the National Alliance for Musical Theatre’s annual endeavors. Edinger began his career as an actor, appearing in the 2004 Tony-nominated Broadway revival of Pacific Overtures and the Broadway benefit concert production of Children and Art: A Tribute to Stephen Sondheim on the Eve of his 75th Birthday. Full Disclosure: Our MT research team consisted of two current BFA students, three BFA acting alumni, three BFA educators, two artistic director, two casting directors and two admissions professionals. They're associated with the following schools - Pace University, SCAD, Elmira College, NYU Tisch, Yale University, URI, Wright State, Penn State, Ottterbein University, UNLV, UCONN, Rider University and UNCSA. To avoid conflict of interest, they did not adjudicate their associated programs.